Of all the mathematicians who ever lived, Évariste Galois, born 200 years ago today, is the one who has given me the most inspiration for the subject. He was a hot-headed genius, living in a period of political instability in post-revolutionary France. The ideas he formulated, during his incredibly brief life, were not only ground-breaking, they were so ahead of his time they could be described as alien to the 18th century world he lived in. Only now are Galois's ideas becoming of dramatic importance. If you are interested in quantum computing, or particle physics, to name just two of today's hottest scientific topics, you should know about Galois. At the age of 16, with a head full of novel mathematical ideas, he sat the entrance exam for the École Polytechnique, failing to get in. The following year, he tried again. This time, the application ended in frustration and acrimony. 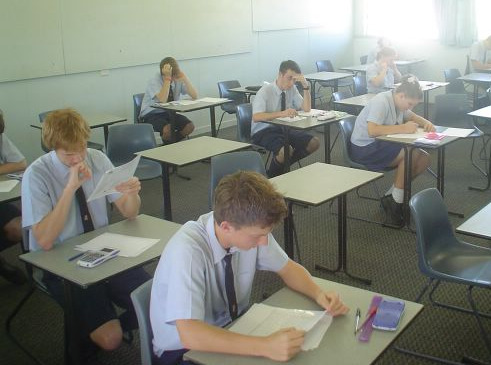 The examiner reported the student ‘Knows nothing’ and was of ‘Little intelligence’. More likely, Galois’s approach took too many logical leaps, confusing his supposedly superior examiner. He entered the inferior École Normale, despite being described by the authorities there as ‘Obscure in expressing his ideas’. Aged 19, Galois sent two papers to the Academy of Sciences as an entry to the Academy’s prestigious Grand Prix. This first attempt at recognition failed for mysterious reasons, although it seems that Cauchy, the eminent mathematician refereeing the works, simply wanted the two papers combined. Galois’s second submission, however, failed in farcical circumstances. The revised paper was sent directly to Fourier, who was secretary to the Academy and appeared sympathetic to Galois’s ideas. But Fourier died shortly afterwards and the paper was lost. One year later, political tension in France was running high. Galois had friends in revolutionary circles and attended a banquet with them. He was overheard, perhaps by spies, uttering the name of the king, Louis Phillipe, while brandishing a dagger. This being construed as a threat on the king’s life, Galois was arrested. This time, he was released, but he was later re-arrested and this time sentenced to 9 months in prison. He was not well treated in prison, being forced into drinking matches with his fellow inmates. When Galois complained about his ill-treatment, he was put into solitary confinement. When out of prison, Galois returned to his mathematics, but his political interests continued to divert his attention. He finally received a response from the Academy of Sciences. His submission was declared “neither sufficiently clear nor sufficiently developed to allow us to judge its rigor”. The work of Galois that survives amounts to no more than 60 pages. In its modern form, it bears little relation to the scrawl of his last document, but the ideas remain. 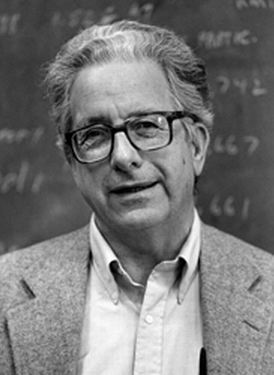 He analysed the symmetry in the solutions of equations in ways never previously imagined. These new approaches, combined with his chaotic presentation, were what had confused his superiors at the various academic institutions. Today, Galois Theory is of fundamental importance in the field of Quantum Theory. It is helping in answering questions about the structure and origin of the universe. It has been applied not only to describing the sub-atomic particles that have already been discovered, but to predicting the existence of new ones. The workings of the Large Hadron Collider, CERN’s giant particle accelerator, are dependent on the strength of Galois Theory. Who knows how differently mathematics - even human civilisation - may have evolved, had Galois's life not been brought to such a sudden and tragic end. 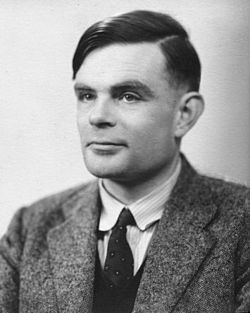 Next June marks the centenary of the birth of Alan Turing. To commemorate the centenary on 23rd June 2012, the IMA have organised a competition. A £100 Amazon voucher is up for grabs for the best article, written in a maximum of 500 words, about the mathematician and his work. 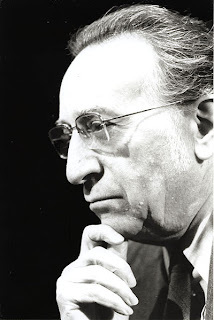 If you’re 17 to 19 why not write a brief article on the work of this great mathematician. The winning article will feature on the Maths Careers website. Send your entry by email to mathscareers@ima.org.uk or by using the entry form on the competition page. Include your name, age, name and address of school and a contact email address. Or if you are home-schooled, send your name, age, name and address of parent/guardian and a contact email address. OK, so tau being 6.28 explains why 28th June is Tau Day (blame the Americans - they write their dates backwards). But why do we need a new mathematical constant, especially one that is simply double another one? Personally, I'm not convinced. Tau would certainly be useful in a number of formulae and mathematical solutions. 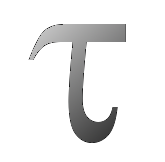 But I think students would end up using a half of tau just as often as they currently use 2 pi. And if we went to a system where both constants were in use, would this not just add to the confusion, rather than alleviate it? Finally there are thousands of years of pi tradition. The ancient Greeks obsessed over pi, just as much as modern mathematicians do. What do you think of tau? Last month we reported that Exeter University had announced it will charge the maximum of £9000 tuition fees when new legislation allows them to do so in 2012. Since then, a growing number of universities have declared similar intentions. Indeed, with 21 universities now having declared their fees for the 2012-13 year, it is obvious that fees at a maximum level will be the norm rather than an exception. This is in complete contrast to the comments of David Willets, the government's universities minister, who said only last month that maximum fees would only be charged in exceptional cases. The list so far can be found on the BBC news website. 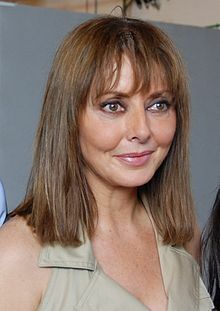 It includes eight out of the 20 members of the elite Russell Group, with the remaining 12 members still to declare. All 8 of the second tier "1994 Group" universities to have declared will be charging maximum fees. Only four out of the 21 who have declared will be charging less than the maximum, all of these being former polytechnics or higher education colleges. All universities charging maximum fees will have to provide special provision for applicant students from poorer families and a system of bursaries. We have covered the protests against the rise in tuition fees here. And if you are an A-Level student thinking about university, but worried about the increasing costs, we offer some words of advice. If, as now seems possible, nearly all universities charge the maximum £9000 fees, there could be serious consequences for our entire education system. Firstly, the number of young people who can afford university will fall. With a limited number of bursaries on offer, there is a danger that the universities system will become accessible only to a privileged minority of the population, with students from low and average income families simply unable to afford it. Secondly, the universities may suffer themselves if the number of applicants falls. With vastly reduced grants from central government, universities will have to take cold decisions about which departments are attracting the required numbers of students, with the remainder facing severe cuts or even closure. Finally, these government plans may begin to look like a step too far for the country as a whole. Keeping students in education beyond sixth form is vital to the success of British companies and the wider economy. It also provides our young people with a valuable experience that they cannot get in the workplace. Are these prospects a part of the fairer Britain the coalition government wanted to achieve when it took office? If you're looking for areas in which maths can be applied to the real world, look no further than computing and in particular the latest exciting advances coming from universities in the US. At a meeting of the American Physical Society in Dallas, scientists from University of California, Santa Barbara have been demonstrating the latest steps on the road to a quantum computer. A quantum computer, something that, as far as we know, has yet to be built, would be able to perform calculations on a scale that would vastly out-perform today's super-computers. The UCSB device is one step along the road towards such a computer. 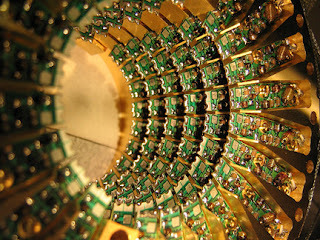 It houses a chip containing 9 quantum devices, four of which are "quantum bits" or Qubits, which do the calculations. Later this year, the team hopes to increase the number of Qubits to 10. When scientists are able to increase the number of Qubits to about 100, they think the chip will be the basis of a viable, usable computer. All of this opens the possibility that in the near future we'll have the power of today's super-computers on our desks, on our laps, even in our mobile phones. For these developments, we owe a lot to Erwin Schroedinger, whose work on quantum physics and wave equation paved the way for the weird world of quantum mechanics. At its heart, quantum computing depends on "super-position", which is the seemingly unnatural ability for a particle to be in two states at the same time. A particle spinning in one direction could be given a weak pulse of energy, which might be enough to set it spinning in the opposite direction, but maybe not. As long as the particle is not being observed or interacted with in any way, quantum physics says that the particle is in both states at the same time. Now, we could use a whole line of these particles to represent the binary digits of a number. If a calculation is performed using a traditional computer, we would need to feed each number into the computer separately. But because a quantum computer can operate on particles in super-position, it can perform the calculation on all the possible combinations simultaneously. A number whose binary representation is 7 digits long is between 0 and 127. A traditional computer would need to do a calculation on each of these 127 numbers. A quantum computer could do them all at once. But the power of quantum computing brings huge challenges for society. In fact, as things stand, a fully functioning quantum computer would jeopardise the stability of the world. This is because world commerce depends on the use of secure ciphers to protect and verify financial transactions. Additionally, many secure conversations between governments and government institutions are carried out using the same sets of ciphers. With the unimaginable computing power that quantum computing would bring, these ciphers, which we have previously considered unbreakable, would be rendered useless. Yesterday's science fiction really is tomorrow's reality. 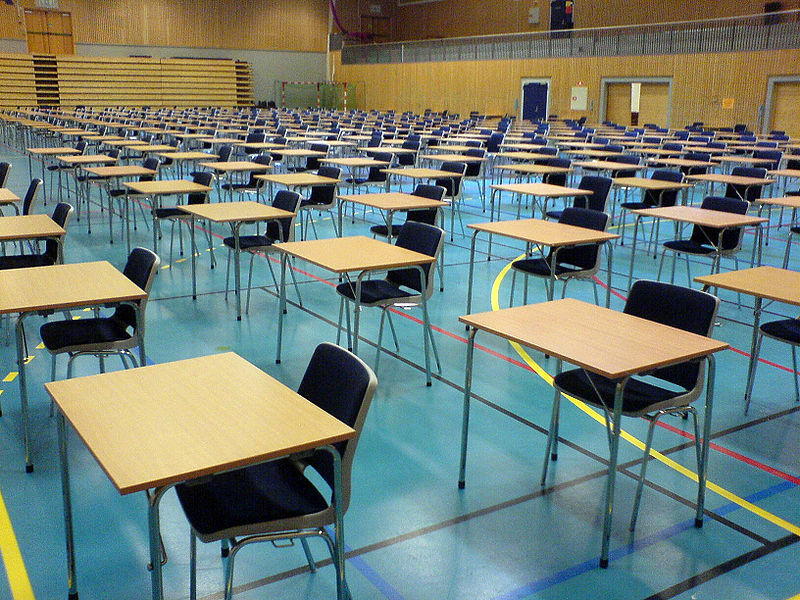 Exam season is drawing near and, as ever, we'd like to help you in your teaching or revision. If you have previously taken out a subscription on the MathsBank site, there is now the chance to renew your membership at a special rate. If you are interested in getting 25% off a new subscription, please email and we will forward instructions on how to proceed. Two weeks ago we reported that the education secretary, Michael Gove, was facing a legal challenge to his scrapping of the Building Schools for the Future (BSF) scheme. Yesterday, the High Court in London ruled in favour of the Education Authorities bringing the case to court. Michael Gove was told he must reconsider the decision to scrap the scheme because he had unlawfully failed to consult local councils. Seven hundred school building projects were shelved because of the decision. In the House of Commons, Gove continued to defend his actions, telling MPs that his decision was clear and rational. He said that the scale of the deficit meant cuts were inevitable. He also pointed out that the judge had not ordered a reinstatement of the scheme, nor any compensation payment to the schools involved. The ruling gives schools the chance to "make representations". For Labour, shadow education secretary Andy Burnham said that the ruling was damning. He demanded full details of conversations between Mr Gove and his civil servants and called on David Cameron to remove him from any future involvement in these matters. Unfortunately, it seems unlikely that any of this will ever lead to the school rebuilds taking place. Two hundred years ago, one of the greatest mathematical thinkers ever to have lived was in his prime. In 1807, at the age of 30, Carl Friedrich Gauss was appointed Professor of Astronomy at Göttingen. But this did not inhibit his prolific work in pure mathematics. In 1811, he published a paper on the meaning of integrals with complex limits and examined the dependence of such integrals on the chosen path of integration. Remarkable as it is, it is not so much this particular piece of work we wish to celebrate in this article. In mathematics Gauss is remembered for so many things, but perhaps most often for the Gaussian or "Normal" statistical distribution. Gauss was a child prodigy. There is a story, which may or may not be true, about his remarkable mathematical ability at primary school. His teacher, realising Gauss had completed a task well ahead of the rest the class, asked Gauss to calculate the sum of the numbers from 1 to 100. The child thought for a few seconds, then told her the answer: 5050. He had added 1 and 99, 2 and 98, etc, to turn the sum into 49 x 100, after which he added the only unpaired numbers, 50 and 100. When Gauss was only 14, Charles William Ferdinand, the Duke of Brunswick, who was always on the lookout for bright students, paid for the boy to go to the university in Brunswick. Subsequently, he studied further in Göttingen. 1796 was Gauss’s most prolific year, in which he documented at least 5 major discoveries and proofs in number theory and geometry. He demonstrated the construction of a 17-sided polygon using only straight-edge and compass, something that had eluded all mathematicians since the ancient Greeks. Gauss sorely wanted to be accepted by the elite group of Parisian mathematicians. But he presented his ideas in cryptic ways and didn’t believe in showing much working and this ultimately went against him. He was to spend all his life in what is now Germany. In 1801, there was great excitement in the world of astronomy as an 8th planet was discovered between Mars and Jupiter. It was named Ceres, and today we know it as the largest asteroid. This discovery was considered a great omen for a new dawn of science at the beginning of the 19th century. Shortly afterwards, however, the astronomers lost sight of the newly discovered object. Gauss announced he knew where to find it, using mathematical techniques now used to analyse data of many different types. 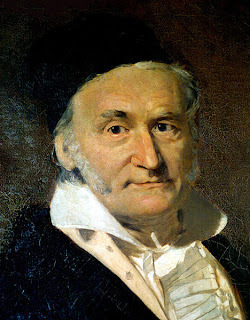 To solve the problem of measurements of Ceres, Gauss had invented the Gaussian (or Normal) Distribution, now used widely in statistics, enabling patterns to be seen in seemingly random data. The breakthrough was his realisation that the measurements, accurate and inaccurate, would, when plotted on a graph, be distributed around the true value in the shape of a bell-shaped curve. With this and other tools, statistical analysis has become a powerful weapon to analyse data, to test hypotheses, to separate statistical fact from fiction. Gauss had an aversion to teaching and said that a professor “loses his precious time” lecturing students. This led to his taking the non-teaching post as Professor of Astronomy in the University of Göttingen in 1807 and he spent the rest of his career tracking the paths of planets. The Gaussian distribution crops up everywhere; it is one of the statistician’s tools for understanding the real world, in the fields of chemistry, medicine, engineering, finance and many others. Although arguably the most famous of Gauss’s mathematical innovations, the Gaussian distribution is probably not the greatest of his many mathematical achievements. Image via WikipediaThe coalition government looks set to face yet another problem over education. After the fiasco with the increases in tuition fees and scrapping of the Education Maintenance Allowance (EMA), the Education Secretary Michael Gove now faces a legal challenge. This revolves around his decision to abolish the Building Schools for the Future (BSF) scheme. The scheme, devised by Labour, was scrapped last July after the coalition government came to power. Under the scheme, every secondary school would have been given funding for a rebuild. Now, 700 schools will have this money withdrawn. Seven councils (Waltham Forest, Luton Borough Council, Nottingham City Council, Sandwell, Kent County Council and Newham) have brought a legal challenge to the High Court in London over this volte face, saying that stopping the programme in their areas was arbitrary and legally flawed. Gove is accused of not consulting properly and failing to give adequate reasons for his decision. His lawyers said in reply that the coalition had inherited the largest ever peacetime deficit and that spending cuts had to be made quickly. Have you suffered because of the cuts to the BSF programme? Are you teaching or learning in shabby classrooms? Let us know why your school should qualify for a rebuild. The Government is less than a year old, but is already under considerable pressure, not only in the field of education funding, but in defence, social care, employment, health and just about any area you care to choose. The state of the economy continues to look parlous. How long can things go on? Will the Coalition Government continue with its controversial cuts? Or will it come up with a Plan B, as shadow chancellor Ed Balls advised yesterday? Will the Conservatives be "out of office for a generation", as Bank of England governor Mervyn King predicted, even before the election. We live in interesting, if difficult, times. The BBC Radio 4 programme 'In Our Time' looked at the topic of randomness today. The In Our Time website has a link to the programme on the iPlayer, if you missed it first time round. What is meant by randomness? Well, a truly random event is not deterministic, i.e. it is not possible to determine the next outcome, based upon the previous outcomes, or on anything else. In actual fact, random processes are very important in lots of areas of maths, science and life in general, but truly random processes are remarkably difficult to achieve. Why should this be the case? Because in theory, many processes that we consider to be random, such as rolling a dice, are in fact deterministic. 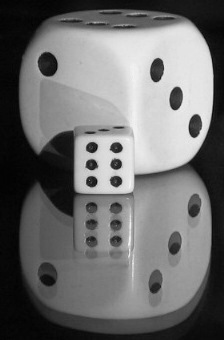 You could, theoretically, determine the outcome of the dice roll if you knew its exact position, size, etc. The ancient Greek philosopher and mathematician Democritus (ca. 460 BC – ca. 370 BC) was a member of the group known as Atomists. This group of ancients were the pioneers of the concept that all matter can be subdivided into its fundamental building blocks, atoms. Democritus decreed there was no such thing as true randomness. He gave the example of two men meeting at a well, both of whom consider their meeting to have been pure chance. What they did not know is that the meeting was probably pre-arranged by their families. This can be considered an analogy for the deterministic dice roll: there are factors determining the outcome, even if we cannot measure or control them precisely. Epicurus (341 BC – 270 BC), a later Greek mathematician, disagreed. Although he had no idea how small atoms really were, he suggested they swerve randomly in their paths. No matter how well we understand the laws of motion, there will always be randomness introduced by this underlying property of atoms. Aristotle worked further on probability, but it remained a non-mathematical pursuit. He divided all things into certain, probable and unknowable, for example writing about the outcome of throwing knuckle bones, early dice, as unknowable. As with many other areas of mathematics, the topic of randomness and probability did not resurface in Europe until the Renaissance. The mathematician and gambler Gerolamo Cardano (24 September 1501 – 21 September 1576) correctly wrote down the probabilities of throwing a six with one dice, a double six with 2 dice, and a triple with three. He was the first person to notice, or at least to record, the fact that you're more likely to throw 7 with 2 dice than any other number. These revelations formed part of his handbook for gamblers. Cardano had suffered terribly because of his penchant for gambling (at times he pawned all his family's belongings, ended up in a poor house, and in fights). This book was his way of telling fellow gamblers how much they should bet and how to stay out of trouble. 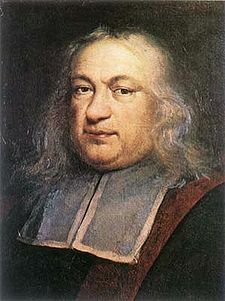 In the 17th century, Fermat and Pascal collaborated and developed a more formalised theory of probability and numbers were assigned to probabilities. Pascal developed the idea of an expected value and famously used a probabilistic argument, Pascal's Wager, to justify his belief in God and his virtuous life. Today there are sophisticated tests that can be performed on a sequence of numbers to determine whether or not the sequence is truly random, or if it has been determined by formula, human being, or some other means. For example does the number 7 occur one tenth of the time (plus or minus some allowable error)? Is the digit 1 followed by another 1 one tenth of the time? An increasingly sophisticated series of tests can be fired into action. We have the "poker test", which analyses numbers in groups of 5, to see whether there are two pairs, three of a kind, etc, and compares the frequency of these patterns with those expected in a truly random distribution. The Chi Squared test is another statistician's favourite. Given that a particular pattern that has occurred, it will give a probability, and a confidence level, that it was generated by a random process. But none of these tests are perfect. There are deterministic sequences that look random (pass all the tests) but are not. For example, the digits of the irrational number π look like a random sequence, and pass all the tests for randomness, but of course, it is not. π is a deterministic sequence of numbers - mathematicians can calculate it to as many decimal places as they please, given powerful enough computers. Another naturally occurring, seemingly random distribution is that of the prime numbers. The Riemann Hypothesis provides a way to calculate the distribution of the primes, but it remains unsolved and nobody knows whether the hypothesis remains valid for very large values. However, like the digits in the irrational number π, the distribution of the primes does pass all the tests of randomness. It remains deterministic, but unpredictable. Another useful measure of randomness is a statistic called the Kolmogorov Complexity, named after the 20th century Russian mathematician. The Kolmogorov Complexity is the shortest possible description of a sequence of numbers, for example the sequence 01010101.... could be described simply as "Repeat 01". This is a very short description, indicating the sequence is certainly not random. However, for a truly random sequence, it would be impossible to describe the sequence of digits in any simplified form. The description would be just as long as the sequence itself, which indicates that the sequence would appear to be random. During the last two centuries, scientists, mathematicians, economists and many others have begun to realise that sequences of random numbers are very important to their work. And so in the 19th century, methods were devised to generate random numbers. Dice, but can be biased. Walter Welden and his wife spent months at their kitchen table rolling a set of 12 dice over 26000 times, but these data were found to be flawed because of biases in the dice, which seems a terrible shame. The first published collection of random numbers appears in a book of 1927 by Leonard HC Tippet. After that, there were many attempts, many flawed. One of the most successful methods was that used by John von Neumann, who pioneered the middle-square method, in which a 100-digit number is squared, the middle 100 digits are extracted from the result, and squared again, and so on. Very quickly, this process yields a set of digits that pass all the tests of randomness. In the 1936 US presidential election, all the opinion polls pointed to a close result, with a possible win for the Republican Party's candidate Alf Landon. In the event, the outcome was a landslide to the Democratic Party's Franklin D Roosevelt. The opinion pollsters had chosen bad sampling techniques. In their attempts to be high-tech, they had telephoned people up to ask them about their voting intentions. In the 1930s, it was far more likely for wealthier people - largely Republican voters - to have a telephone, and so the results of the surveys were deeply biased. In surveys, truly randomising the sample population is of prime importance. Likewise, it is also very important in medical tests. Choosing a biased sample set (e.g. too many women, too many young people, etc.) can make a drug appear more or less likely to work, biasing the experiment, with possibly dangerous consequences. One thing is certain: humans are not very good at producing random sequences and they are not very good at spotting them either. When tested with two patterns of dots, a human being is particularly bad at deciding which pattern has been generated at random. Likewise, when trying to create a random sequence of numbers, very few people include features such as digits occurring three times in a row, which is a very prominent feature of random sequences. But is there anything truly random? Going back to the dice we considered at the start, where a knowledge of the precise initial conditions would have allowed us to predict the outcome, surely this is true of any physical process creating a set of numbers. Well, so far, atomic and quantum physics have come closest to providing us with truly unpredictable events. It is, to date, impossible to determine precisely when a radioactive material will decay. It seems random, but maybe we simply don't understand. At the moment, it remains probably the only way to generate truly random sequences. Ernie, the UK Government's premium bond number generator, is now on its fourth reincarnation. It must be random, in order to give all the country's premium bond holders an equal chance of a prize. It contains a chip that exploits the thermal noise within itself, i.e. the amount of movement in the electrons. Government statisticians perform tests of the number sequences that this generates, and they do indeed pass the tests for randomness. Other applications are: the random prime numbers used in internet transactions, encrypting your credit card number. The National Lottery machines use a set of very light balls and currents of air to mix them up, but like the dice, this could, in theory, be predicted. Finally, the Met Office uses sets of random numbers for its ensemble forecasts. Sometimes it is difficult to predict the weather because of the well-known "chaos theory" - that the final state of the atmosphere is highly dependent on the precise initial conditions. It is impossible to measure the initial conditions to anything like the precision required, so atmospheric scientists feed their computer models various different scenarios, with the initial conditions varying slightly in each. This results in a set of different forecasts and a weather presenter who talks in percentage chances, rather than in certainties.